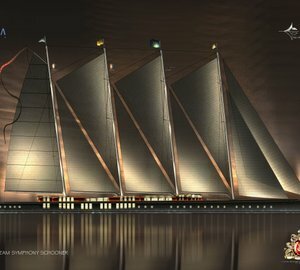 The exceptional 2003 built and 2008 refitted PERINI NAVI sailing yacht FELICITA WEST will be available for luxury yacht charters in Northern Europe starting from June, 2013. Luxury charter yacht Felicità West is currently receiving bookings for guests wishing to explorer the spectacular Northern European countries of Norway, Sweden, Denmark as well as the picturesque cities of St Petersburg and Stockholm. Her rental price is of € 165,000 to € 195,000 per week plus expenses. For further information, please contact our friendly and professional brokers here. As mentioned, Felicità West yacht was built by Perini Navi in 2003 with refit in 2008 and measures 64 metres (209’11”) in LOA with a generous beam of 12,7 m. With naval architecture by Ron Holland and interior design by Nuvolari Lenard, she is an excellent vessel and one of the largest and fastest sailing yachts in the world, offering superb sailing experience, and high levels of luxury and comfort to all charter guests aboard. 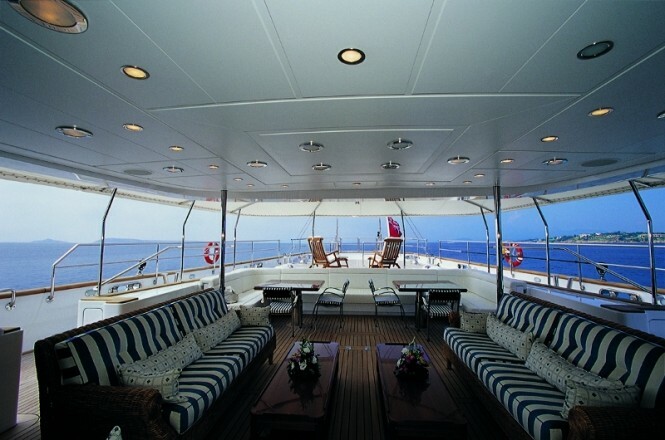 Thanks to her large beam, she provides generous internal volume, sweeping decks and a very stable cruising motion. 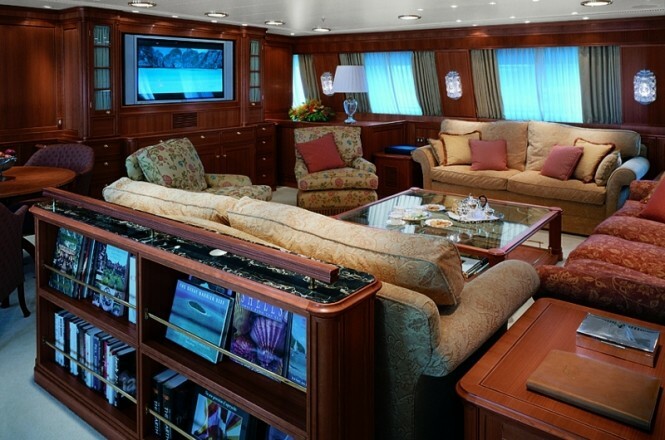 Her fly-bridge is also very large and offers plenty of space for relaxation, dining and entertainment to all 12 guests. This deck boasts a second al-fresco dining area and a bar. Guest on board superyacht Felicità West enjoy most al-fresco meals in the fantastic dining area in the shaded sunken aft cockpit where the professional crew transforms the scene from informal breakfast buffet lunch to a sophisticated and sumptuous dinner. To fully enjoy the sea and the sun, Felicità West has a large swimming platform that can be folded down from her aft-deck, providing great access or a landing for the yacht’s jet tenders or small sail boats. Great comfort and style continue indoors with endless spaces for entertaining or unwinding in privacy. Her interior is warm, homely and very comfortable. Charter guests can immediately feel at ease on this magnificent vessel built by the renowned Italian luxury yacht builder, Perini Navi. 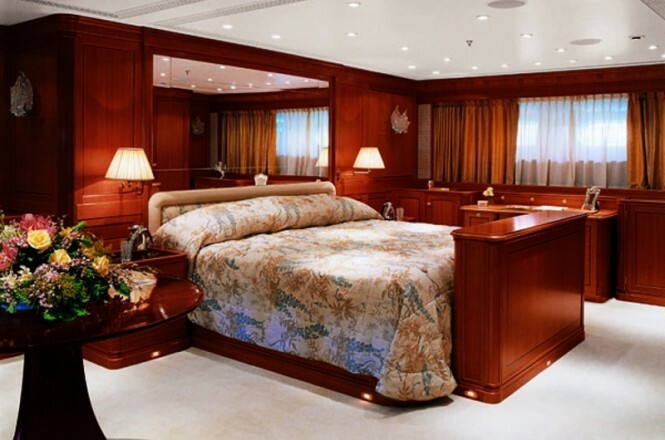 Accommodation on board sailing yacht Felicità West is provided to 10-12 guests in total, divided into a beautiful, full-beam double master suite, complete with sitting room, walk in wardrobe and superb bath; two queen bedded cabins with pullman bunks, as well as further two twin bedded cabins, also with pullman bunks. Her ideal maximum is ten charter guests, however in family situations the pullman berths may be used to accommodate up to 12 guests in comfort. All the cabins have full en-suite facilities, climate control, Sat TV, VCR and DVD music. Her friendly and highly professional crew of 11, lead by the experienced Captain Jake Reid are accommodated separately to ensure maximum privacy. Northern Europe is becoming a popular charter destination for luxury super yachts, including sailing yachts as well as motor yachts and explorers. Not surprisingly, as it offers exquisite and tranquil cruising ground, with spectacular scenery to be admired wherever one sails. In addition, the Baltic Scandinavia and Russia can receive around twenty hours of daylight to fully enjoy the luxury yacht charter holiday and to explore the area to the maximum. Cruising aboard a luxury yacht is the best way to discover the magnificent destinations of Norway. The countries fabulous coastline is surrounded by thousands of islands varying in sizes that adorn its impressive coastline. The country is well known for its series of large sounds and fjords, created millions of years ago. In addition to its breathtaking scenery, luxury charter guests can also witness the spectacular and dramatic vision of the Aurora Borealis or Northern Lights. 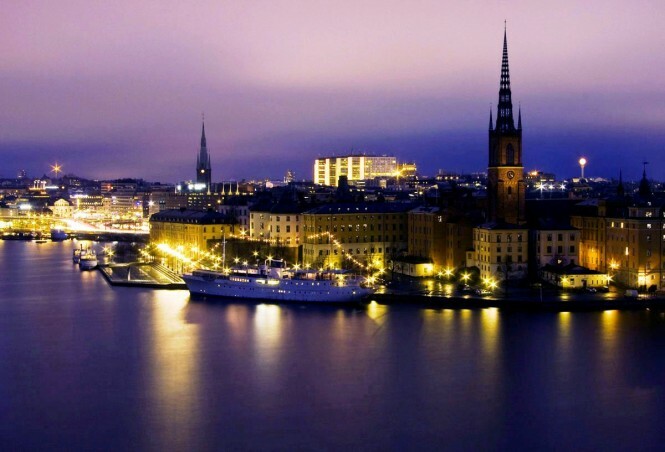 Exciting adventures and great activities is what you can expect from a holiday in Sweden – a country boasting some wonderful waterways, with a large number of attractions to cover and things to do during the entire cruise aboard your preferred charter yacht. Among the picturesque and well-loved yacht charter holiday destinations in this beautiful Nordic country are the Stockholm archipelago and the Bohuslan region. Great places to visit include premier tourist spots like Marstand and Nykoping, where you will get this incredible treat of witnessing the life in a typical Swedish fishing village. In addition to these, there are popular cosmopolitan destinations where you can enjoy the modern trimmings of an ideal Nordic holiday. 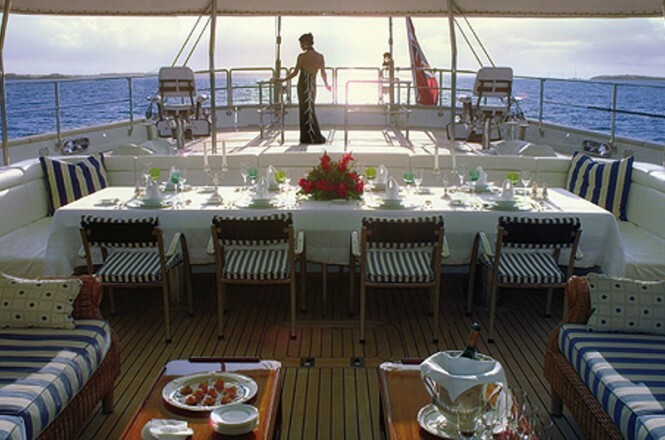 Denmark is another luxury yacht charter destination that will leave you breathless and wanting from more. 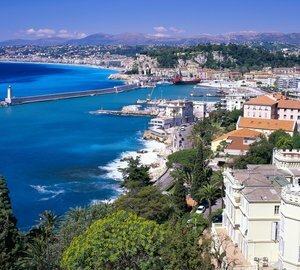 Boasting about 7500 km of coastline and a rich natural history, this country has plenty to offer its seasonal visitors. Denmark is boarded by both the Baltic Sea and the North Sea and is well known for its charming cobbled streets, small shops and inviting restaurants as well as for the fantastic natural environment that surrounds you all though your vacation. The capital and the largest city is Copenhagen. Renown as the cultural capital of Russia, St Petersburg is also becoming a popular destination for luxury yachts to visit while sailing around the Northern Europe. 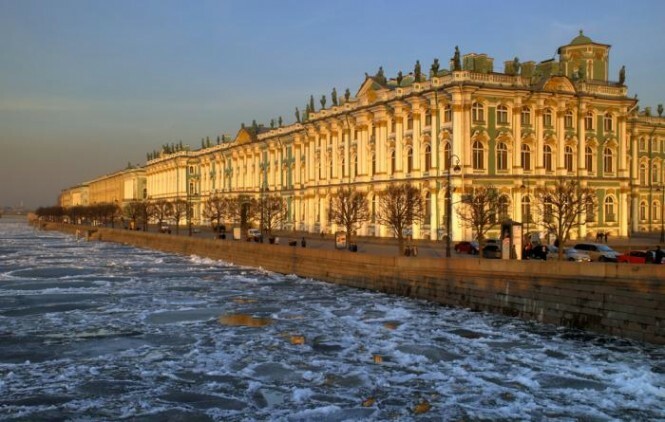 Very few cities showcase as many art galleries, concert halls, museum and theatres as St Petersburg can. 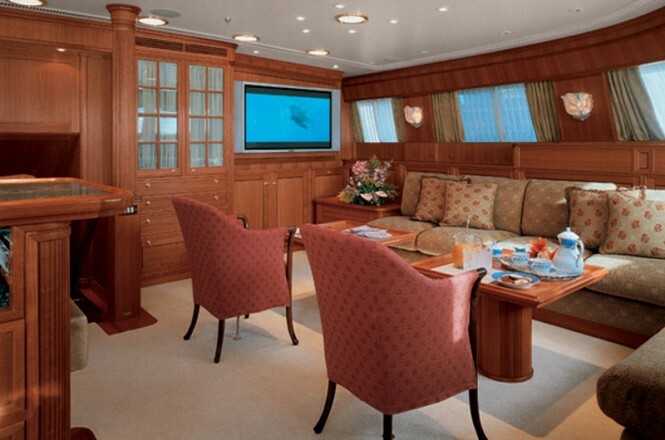 It is certainly a destination to add to your next charter itinerary. If you think Northern Europe is the next place you would like to discover and experience during you upcoming 2013 summer vacation, than please contact our professional and friendly team at CharterWorld. 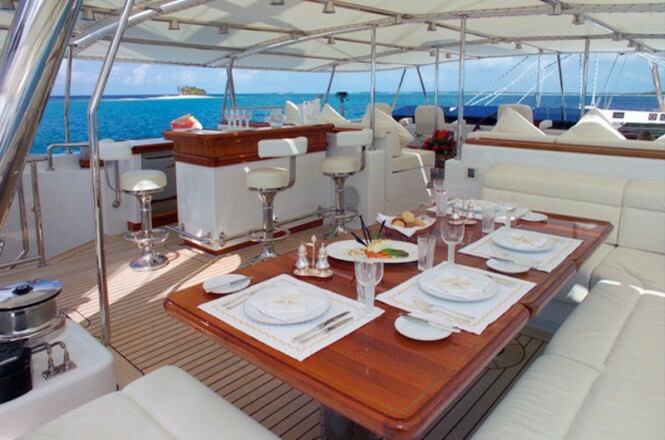 We will provide you with more information about chartering Felicità West or give you additional information and a full list of yachts available around this area. 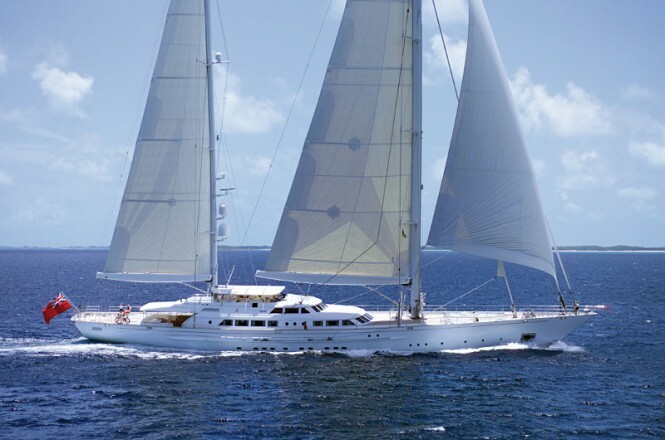 Please contact CharterWorld - the luxury yacht charter specialist - for more on superyacht news item "Perini Navi sailing yacht Felicita West available for charter in Northern Europe (Norway, Sweden, Denmark, St Petersburg and Stockholm) ".